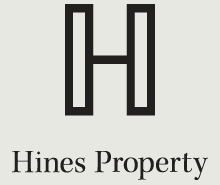 Hines Property is a multi-award winning property investment and development group with experience across high rise residential, office, hotel and mixed use development projects. Established in 2003, and with offices in Adelaide and Melbourne, Hines Property has an exceptional track record of development delivery. The uncompromising development approach of Hines Property has resulted in nationally acclaimed projects that are innovative, and demonstrate a careful emphasis on design and amenity.